My picture book tasks here are aimed at middle primary students to encourage rich discussion and imaginative responses after reading fables. 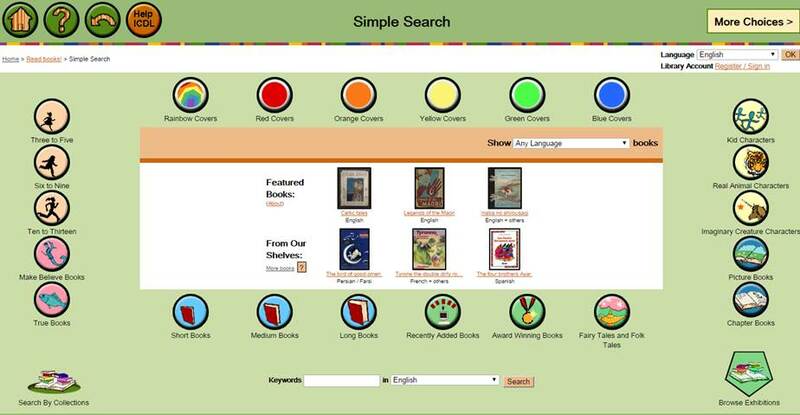 The books on this website are from the online International Children's Digital Library and can be found by a KEYWORD search. The dashboard within the ICDL allows readers to choose by TYPE of book and LANGUAGE, as well as COLLECTIONS.